In 2013, Earth Law Center (ELC) helped Santa Monica become the first West Coast city to pass a Sustainability Rights Ordinance which recognizes that "natural communities and ecosystems possess fundamental and inalienable rights to exist and flourish." The City's Sustainability Plan sets out specific actions and goals consistent with the Ordinance. In the United States, over 40 cities and towns have passed laws recognizing nature's rights and, oftentimes, the related human right to a healthy environment. This effort will build from and contribute to the growing movement to establish legal rights for nature worldwide, as opposed to treating nature as mere “property” for human consumption. Ecuador and Bolivia already recognize rights of nature, along with many cities and towns including Mexico City and over three dozen in the US. Challenges: The rights of nature movement in Santa Monica addresses the long-term decline of its ecosystems. 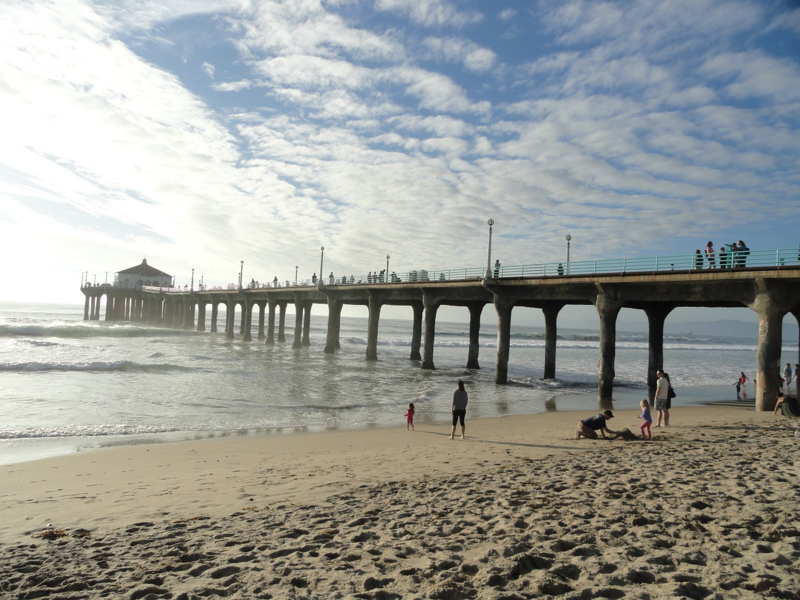 Prior to the passage of the Sustainability Rights Ordinance, Santa Monica residents were concerned over unsustainable groundwater use, polluted air, declining biodiversity, and other environmental threats. In many cases, there was no recourse, as our environmental laws in many cases legalize ecological degradation. To address these threats, Santa Monica passed the Sustainability Rights Ordinance, which recognizes the rights of nature in Santa Monica. It gives the natural environment a legal voice with which to input into decisions that may negatively impact its health and well-being. It also gives local community residents standing in the courts to defend the natural environment from violations of its inherent rights. And finally, it creates a defensible and more permanent solution to the future threats that the natural environment faces. Natural communities whose rights were recognized for the first time ever in Santa Monica - giving residents rights to a healthy environment, who will benefit from cleaner air, water, and living in harmony with nature. By establishing legal rights for nature, we can create an environment with clean air, clean water, healthy food, and fulfillment for humans. And by establishing a legal system that promotes the well-being of both humans and nature, we can protect our environment from emerging threats, such as climate change. Essentially, protecting nature is protecting ourselves. Mendocino City Community Services District, Ordinance No. 07-1: Groundwater Extraction Permit (adopted Jan. 2007), at: http://www.mccsd.com. The SRO has since been lauded worldwide. For example, it was featured in United Nations documents, such as the United Nations General Assembly’s 2017 "Harmony with Nature" Report of the Secretary-General. It has also been discussed in numerous books, law review articles, and international rights of nature dialogues and events. ELC grounds current environmental protection, conservation and restoration efforts by securing legal recognition of nature’s rights so they are permanent and inalienable. ELC complements the work of CEDLF through our educational, international and Earth Law “mainstreaming” work, none of which are part of CELDF’s focus. Also, while ELC and CELDF both secure rights for nature through laws, ELC focuses on different geographic areas and seeks rights for entire ecosystems, as well. When humans first walked the earth about 200,000 years ago – our world view acknowledged the close and necessary connections we had with all pats of nature. Whether searching for foots and berries, or hunting local game – the respect for nature shared by the early human tribes can be seen in many indigenous nation perspectives today. Then with the advent of several industrial revolutions, we forgot about this connection. We started to think about nature as property, and as something separate and somehow “less” than us. Less important. Less valuable. Today’s environmental challenges stem from this narrow thinking about our natural environment: fish are disappearing from the oceans (they have largely already disappeared from fresh water lakes and rivers), We lose 150-200 species of plant, insect, bird and mammals every 24 hours. The ocean levels are rising (in addition to increased acidification and warming). 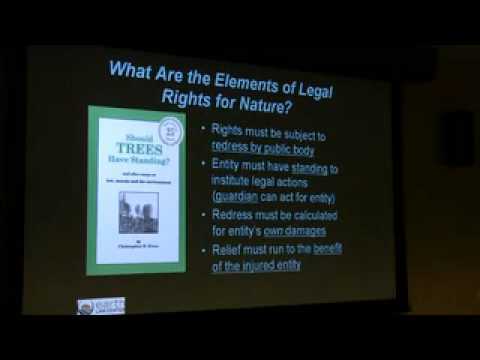 Earth Law provides an innovative solution to evolving our current legal paradigms, such that the natural environment also has legal rights. Non human entities bearing rights is nothing new – corporations and trusts have enjoyed legal rights for hundreds of years. But in an equation where corporations and humans have rights, but nature doesn’t – nature inevitably suffers. It is this paradigm shift that underpins the importance of the Santa Monica win, and the Earth Law solution. Now the aquifer and co-evolving species in Santa Monica also share our right to exist, thrive and evolve. Concerned citizens and the local community are now empowered to speak on behalf of nature – and to bring suit against would-be bad actors whose actions could degrade or destroy this rich ecosystem. This solution is published in the Protected areas, Agriculture and biodiversity and Marine and coastal portal.